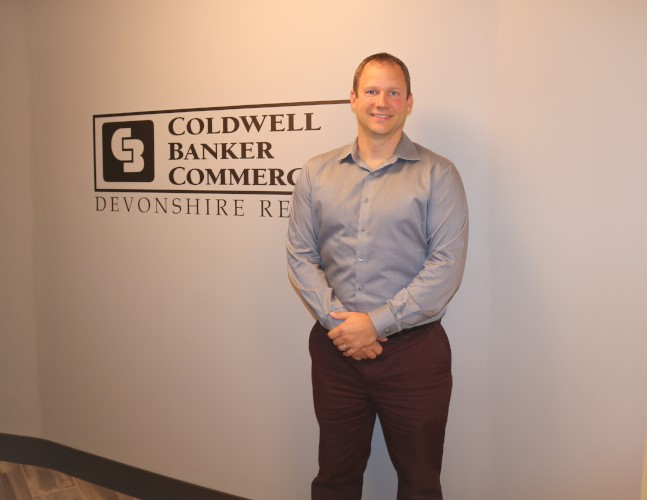 Zach Wetherell is a Commercial Broker and the Owner Services Director at Coldwell Banker Commercial Devonshire Realty. He is also a DSC Board Member and the Chair for Tree of Hope. While attending a Rotary Club meeting one week, he heard DSC CEO, Dale Morrissey and Development Director Janice McAteer give a talk about the agency. During the presentation, DSC showed a video that inspired Zach to reach out to Dale about volunteering with the agency. Zach grew up with an uncle who had disabilities and he also watched his Grandpa get involved with the ARC in the Effingham area over the years, where Zach grew up, so the message resonated with him. Because Zach works in real estate, Dale asked him to serve on the Prairie Homes/ C-U Independence Board. Zach served in that role for two years and was then asked to serve on the DSC Board, where he has continued to serve since that time. This will be his third year, as the Chair for Tree of Hope. Zach is also married to his wife of over 11 years. They have two boys, Will, who is 7 years old and Christian, who is 5 years old. Zach and Brittney stay busy with the boys’ tee-ball and soccer games, and the family also attends First Christian Church and they enjoy spending time together outdoors, most often at Curtis Orchard.